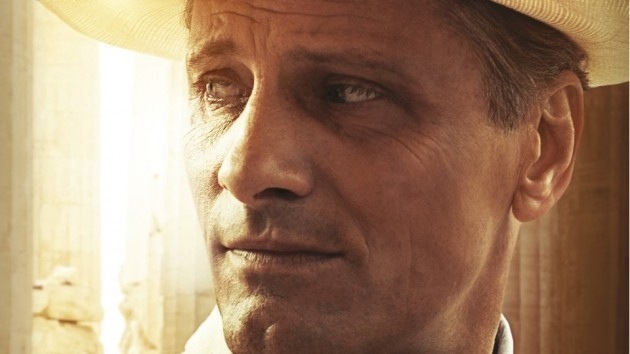 Starring: Viggo Mortensen, Oscar Isaac, Kirsten Dunst, David Warshofsky, Daisy Bevan, James Sobol Kelly. Whether or not you have read any of the psychological thrillers of novelist Patricia Highsmith is neither here nor there but as film fans you will no doubt be familiar with the adaptations of her work. The most notable being Alfred Hitchcock’s Strangers On A Train, René Clément’s Plein Soleil or Anthony Minghella’s American remake of the same story in The Talented Mr. Ripley. A knowledge of these films will give you an idea of the suspense contained within her prose. 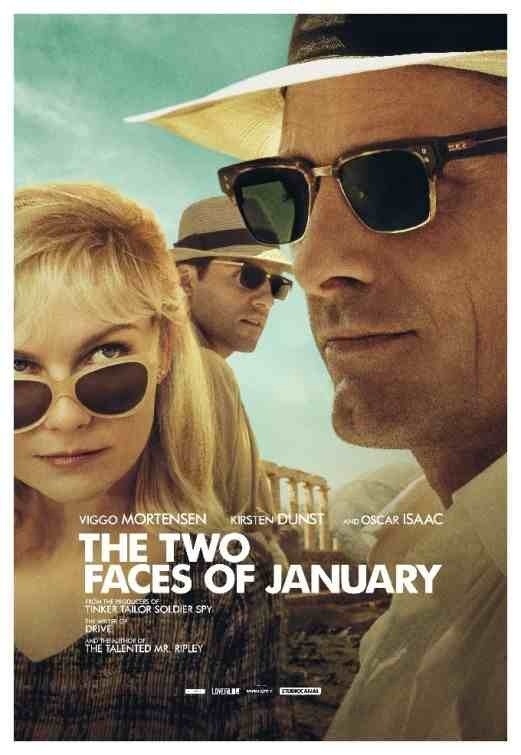 However, Drive screenwriter Hossein Amini has unearthed a lesser known gem in The Two Faces Of January and his translation from page to screen delivers one of the best and most accomplished thrillers of the year. The MacFarlands – Chester (Viggo Mortensen) and Colette (Kirsten Dunst) are touring Europe and find themselves visiting the Acropolis in Athens, Greece. It’s here that they befriend Rydal (Oscar Isaac), the local tour guide. Rydal also happens to be a hustler, though, and is automatically drawn the glamourous and wealthy couple. However, on a particular evening Rydal witnesses Chester commit a vicious and violent act which draws all three of them into a journey from Athens to Crete to Istanbul with a battle of wits and jealousy consuming them all. What’s immediately striking about this film is the sumptuous cinematography by Marcel Zyskind and his ability to transport us back to early 1960’s Greece and his wonderful eye in capturing the gorgeous locations. 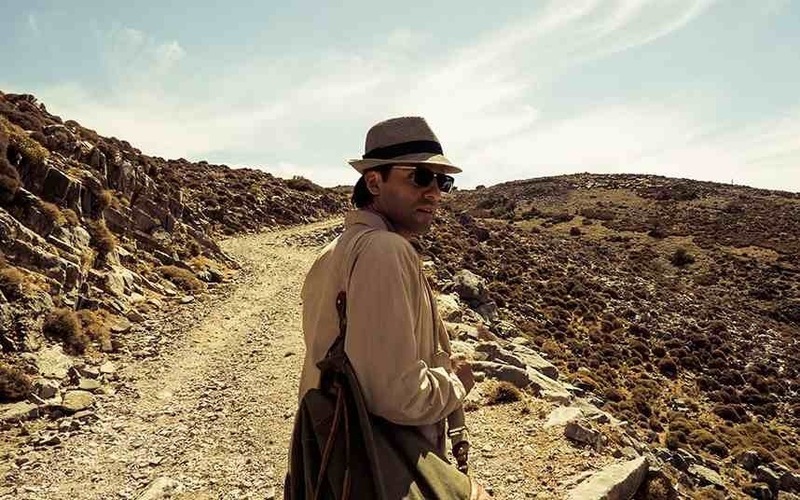 Moving on from the screenwriting duties of The Wings Of The Dove, Drive and 47 Ronin, Hossein Amini now sits behind the camera and makes a marvellous directorial debut, as if it was a talent he’d had along. He has a deft handling of the material and genuinely captures the authenticity of an old fashioned Hollywood movie. It’s simply stunning to behold. However, the characters at the centre of this serpentine mystery do not reflect the beauty onscreen. That’s not say that they let the side down. Far from it. They just happen to be dark, highly duplicitous individuals and the three leads in Mortensen, Isaac and Dunst play them to perfection. They all deliver outstanding work and without such skilful performers, the subtlety of their twisted, three-dimensional characters might not have had the desired impact without the command they have of their roles. Granted, Dunst’s Colette has less to work with but adds just the right amount of suspicion in her complicitness to the shady goings on of Mortensen’s charismatic Chester and Isaac’s Rydal has such a controlled manner that it’s hard to read who’s being truthful or trustworthy at any given time. It’s this interplay with hidden motivations that raises the film into a superior cat-and-mouse thriller and also cleverly references the title of the film itself; both men have entirely their own agendas, one looking to the future and one looking to the past much like the mythological Roman god Janus (January): “the god of gates and doorways, transitions, beginnings, passages and endings, and as such is usually portrayed with two faces”. As outstanding as the performances are, however, a lot of credit must be given to Amini for his ability to accentuate and know when to hold onto a moment; a word; a glance or facial expression which always keeps the audience at a requisite distance. Betrayal is the name of the game here and don’t be surprised if you find yourself shifting closer and closer to the edge of your seat as the game plays out. If I had any gripes (and really there is only one – that some may not even mind so much) is that I felt a little underwhelmed at the films denouement. Just when it needed a payoff and final killer twist, it failed to deliver. However, the real payoff is in witnessing the tangled web of three morally ambiguous swindlers, each desperate to outdo the other. 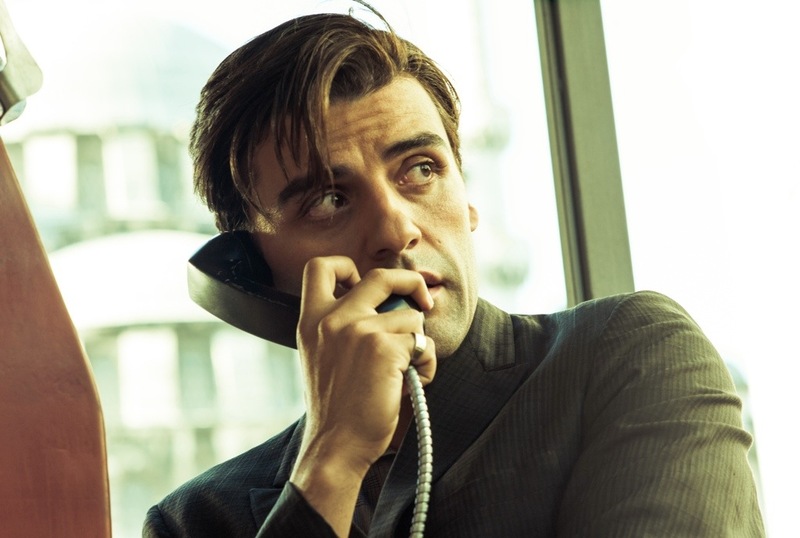 Patricia Highsmith’s material has always made for involving and highly deceitful entertainment and in the hands of Hossein Amini, and his trio of superb actors, it would seem that that flame is still burning and that films of this type keep the twisted Hitchcockian spirit very much alive in modern cinema. An excellent delivery by all involved. Trivia: Hossein Amini had wanted to adapt and direct Patricia Highsmith’s 1964 novel for 15 years before finally getting the go-ahead from production companies Studio Canal and Working Title. This entry was posted on October 23, 2014 at 10:55 am and is filed under Mystery, thriller with tags 2014. You can follow any responses to this entry through the RSS 2.0 feed. You can leave a response, or trackback from your own site. Sounds very good – I remember seeing the trailer months ago before something or other and thought the cast was impressive, but never got round to watching it. It’s on my list now and hopefully I’ll see it soon. 4 and a half stars – strong stuff! I loved it, Stu. Like I mention, the unravelling didn’t sit too well with me but the acting, directing, score and cinematography are all pitch perfect. Superb thriller! Wow… those films he wrote previously couldn’t be more different from each other. Hitchcockian films done well these days are so few and far between. Chan-wook’s Stoker in one of the few that comes to mind that I really liked. I will have to check it out. Yeah, Amini certainly spreads his talents doesn’t he? We’ll definitely be seeing a lot more of him, man. He does a sterling job on this. I’m with you on Stoker. I enjoyed that one myself. If you like that slow burning intensity then you should take a lot from this one, Dave. Yeah slow films don’t bother me… just bad ones. Thanks for the recommendation. I have one for you Mark. Since Halloween is creeping up here’s a really good horror/comedy I just saw. Housebound from New Zealand. Not as silly as Shaun of the Dead and not over the top as Evil Dead II. Really good balance of horror and comedy. While the film’s not perfect you won’t be able to say you weren’t entertained. Trailer looks great Dave. I’ll be sure to add that to my list. Horror and comedy can be a difficult one to master but this looks like it could work out well. Cheers man! Wow, you wait ages for a Marked Movie review and two turn up almost in as many days! Good man! Ha! I’d still been writing the odd review when I was away. Got a few more up my sleeve to help me find my feet again. I never stopped watching or writing, I just couldn’t commit to others’ blogs so I decided to pack it in for a while instead of dipping in and out. The cast made it totally worth watching. Don’t get me wrong, it was a fine movie as it was, but other than a few neat twists here and there, it was just that: A fine movie. Good review Mark. I got totally caught up in it all, Dan. From the gorgeous and cleverly used cinematography, to the perfect Bernard Herrmann-like score to to the intensity of the acting. It tools me back to old Hollywood thrillers and I thought I was beautifully handled by everyone. Just a shame that it didn’t quite wrap things up too well. Sounds like an enthralling thriller, great review Mark. Cheers Vinnie! It certainly enthralled me. I absolutely loved it. Like an old school Hitchcockian thriller. If it’s Hitchcockian, then I’m sure I’ll enjoy it. Check it out, man. I recommend it. Some have criticised it but not me. It really struck a chord with me. Excellent movie! Hello Mark! I’ve read mixed reviews on this one but on account of your review & the excellent cast, I still would give this a rent at some point. I’m really surprised with the mixed reviews, Ruth. I thought this was absolutely superb. The cast are on top form and I’ll wager that you’d rather like this one yourself. Like I mention in my review, it was only the payoff that didn’t really work for me but everything else was on the money! I wouldn’t say the reviews are mixed at all. It has a solid 81% rating on RT. I’m actually glad to hear that. It deserves such a high rating! Those that have criticised it have missed the point in my opinion. It’s a slow burner that focuses more on the interaction of the characters. Beautifully played and filmed. Cool review bro. I wanted to see this in the cinema but missed out on it. Definitely sounds like a good one for a rental. Cheers Chris. I loved it, man. A very strong film with strong performances. I can see why some were disappointed in the ending but the criticism it’s taken from a few corners is vastly unfair in my opinion. Looks like a very pretty looking film. I’m a big fan of the three leads, especially Dunst. Will definitely check this out! I hope you do check it out. It a marvellous film. To be honest, Dunst has little to do. What she does do is good enough but this is mainly about Mortensen and Isaacs – who are both superb. I loved this movie!